Home > Updates > New Website! ILS is happy to launch our new website! You can find the latest ILS updates and resources here. Enjoy! 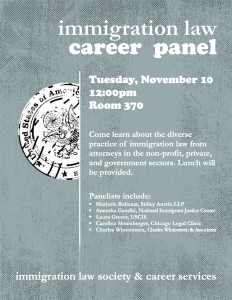 Join us for the Immigration Law Career Panel TOMORROW, Tuesday, November 10 at 12:00pm in room 370. 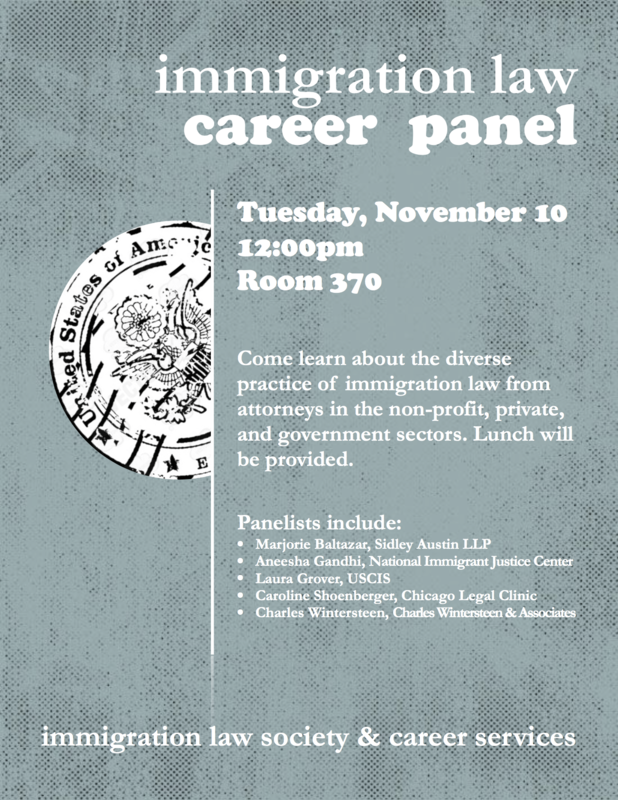 Come learn about the diverse practice of immigration law from attorneys in the non-profit, private, and government sectors. Lunch will be provided. See you there!